This psychological thriller stars James Purefoy as Will Travers, a barrister living in the Suffolk countryside and who’s rapidly losing faith in the legal system. Creator Anthony Horowitz, who also lives in the Suffolk, used the River Deben, Woodbridge, Felixstowe and Southwold as filming locations while he also said the Ramsholt Arms was ‘one of the most beautiful pubs in Britain’. For nine days during September 1978, the Fourth Doctor (Tom Baker) and a crew of dyed-green supporting actors took over Snape and the lands surrounding the River Alde. These were used to represent marshland that the ‘Swampies’ – natives from the third moon of Delta Magna – were protecting from a methane refinery. There was also additional filming just down the river at Iken Cliff. Dramatic, unusual buildings are always prime fare for location scouts and Southwold’s lighthouse clearly met those criteria for the creators of this courtroom drama. With views over the Suffolk coast and the town itself, it’s ideal for stunning seaside scenes. 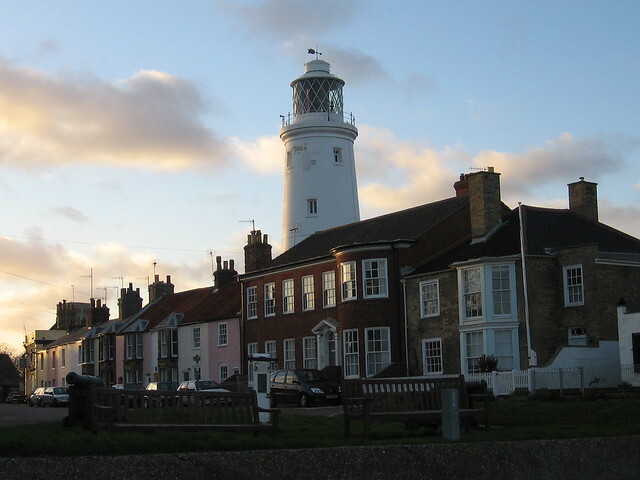 Exterior scenes of this CBeebies show were filmed in Southwold – mainly the pier and lighthouse – and Aldeburgh as these seaside towns were used to create the fictional world of Sunnysands. Back in 2014 you could have even purchased Sea Horse Cottage on Crabbe Street, Aldeburgh, a location used as Grandpa’s home. Southwold was used in this ITV drama as the setting for a fictional Suffolk market town sent into turmoil when a local schoolgirl is murdered. Starring Martin Clunes, Southwold store fronts were employed as a backdrop for many scenes and local residents were offered extra work to give the show greater authenticity. Set entirely on a ferry that went between Felixstowe, Gothenburg and Amsterdam, this BBC production is often cited as one of the most ridiculed programmes in British TV history. The ship used in the first season – the Tor Scandinavia – actually sailed from Felixstowe and shooting was completed as the ferry completed its route on the famously choppy North Sea. The success of this period drama has partly been down to the attention to detail every actor and member of the crew pays to accurately recreating the feel of the era. When the show’s creators wanted to depict trench warfare, they turned to Taff Gillingham and his meticulous, ready-made trenches just outside Ipswich. The set’s latrines, shell holes and communication trenches have also featured in a BBC documentary about The Somme. In the 1987 Christmas special, ‘The Frog’s Legacy’, the Trotters set out to find the hidden gold stolen by Freddie ‘The Frog’ Robdal, an old friend of their mother’s. St Mary’s Church in Framlingham was used when Del finds out where Freddie is buried and the junction of Seymour Road and Rectory Road in Ipswich was the setting for most of the outside filming. Once again written by Anthony Horowitz, the 2002 episode ‘Eagle Day’ sees Foyle working a stabbing case while his son, Andrew, is posted to a local radar station to work on a top secret project. The station in question is RAF Bawdsey, the first fully operational radar station in the world and one of the most important sites in influencing the outcome of World War Two. This BAFTA-winning sitcom written, directed and starring Mackenzie Crook is primarily filmed across Suffolk and Framlingham locals will especially be familiar with the show’s crew. Three series so far have been shot there as the misadventures of Crook and co-star Toby Jones – who portray members of the fictional Danebury Metal Detecting Club – play out in Ed Sheeran’s hometown. While this classic sitcom is more commonly known for being filmed over the border in Norfolk, Captain Mainwaring’s platoon were frequently seen popping up in various Suffolk locations. Honington Primary School, Bardwell Green, the sugar beet factory in Bury St Edmunds, Drinkstone Mill and the Six Bells pub in Bardwell were all visited by the show’s legendary cast. Produced by Anglia Television, the company chose to keep their retelling of Roald Dahl’s short stories close to home and most episodes were filmed across Norfolk, Suffolk and Essex. ‘Neck’ – a dark episode where an art collector beheads his cheating wife – used Somerleyton Hall to portray the collector’s grand estate. Ian McShane’s eponymous antiques dealer works out of East Anglia and so long-time fans will inevitably be familiar with many of the locations used during its 8-year run. 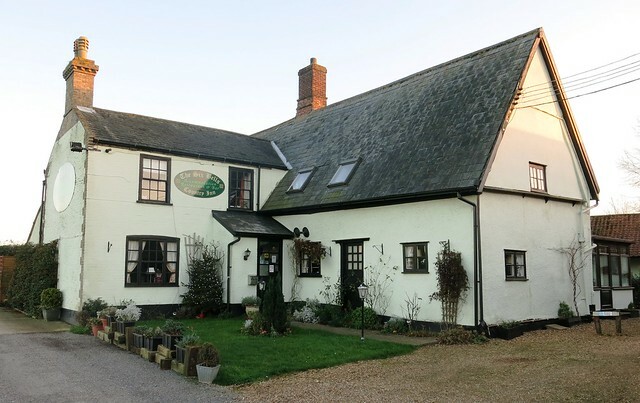 Lavenham and Long Melford were often featured while Belchamp Hall – known as Felsham Hall in the show – is just a few minutes drive across the border into North Essex. You can even stay in the same cottage that was used as Lovejoy’s fictional workshop! This long-running children’s school-based drama was typically based in London and Liverpool yet in one 1994 episode, Southwold became its unlikely setting. After his mum has a breakdown, Jacko sells some of his things to take his mum to the seaside where he learns some unexpected details about his family history. ‘East of Ipswich’ was one of the many one-off dramas produced for this BBC anthology series and it focused on Michael Palin’s experiences of dreary family holidays to the British coast in the 1950s. 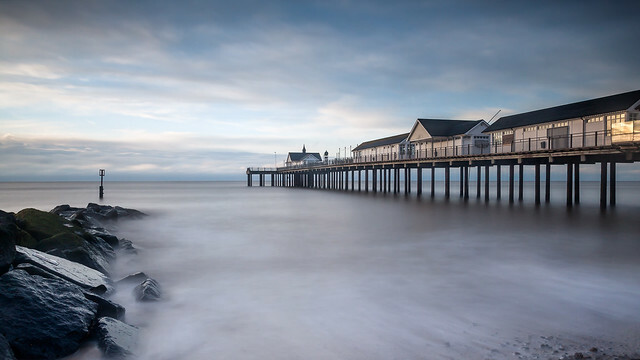 Southwold was chosen as the location for this tale that Palin has said mirrors the story of when he first met his wife – can’t be that bad on the Suffolk coast then! Based upon the mystery novels written by Margery Allingham, this BBC mystery-drama saw Albert Campion cruising around in his Lagonda 16/80, solving grand mysteries along the way. 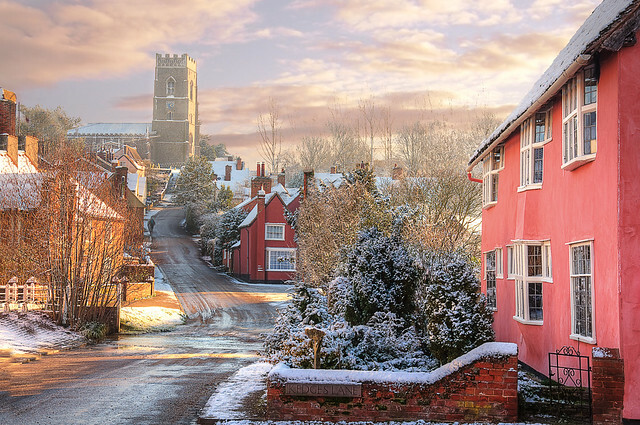 In ‘Look to the Lady’ the gentleman detective visits Kersey, a village that has been previously voted as one of the best in England. When Agatha Christie’s eponymous investigator is summoned to the quiet town of Lymstock, she soon finds out that several individuals have been receiving poison pen letters containing spurious accusations. Hoxne, in between Bury St Edmunds and the coast, masquerades as Lymstock while Marple gradually unravels the mystery of ‘The Moving Finger’ in her own imitable style. Once again TV crews descended on Southwold for ‘Hazell and the Suffolk ghost’ as the cockney private detective – co-created by ex-England manager Terry Venables - takes a trip to the Suffolk coast. Of course, it all inevitably ends in him getting caught up in an attempt to cheat a man out of his inheritance. The first children’s book in a series of six by Lucy M. Boston was adapted for the small screen in 1986 by the BBC. Broken up in to four separate episodes, Crow’s Hall in Debenham was used as the location of the magical Green Knowe manor house while St Mary’s Church in Gedding was also a setting. This new ITV drama came to Suffolk in 2017 to shoot flashback scenes regarding lead character Emma Banville’s history in the county. Production company Screen Suffolk filmed at Bentwaters Park and Shingle Street to add flavour to Banville’s backstory while she tries to clear the name of a man she thinks has been wrongly accused of murdering a Suffolk schoolgirl. Shot predominantly at the West Stow Anglo-Saxon Village, this independent Lord of the Rings prequel follows Arathorn – the father of Aragorn – as Middle Earth gradually becomes terrorised by Sauron’s malevolence. It may not have the production value of Peter Jackson’s original trilogy but the whole feature is entirely free to watch on YouTube. Want to see which films were shot in Suffolk? Click here!